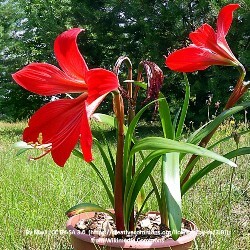 Amaryllis are easy to grow outside if you live in Zones 7 or higher. 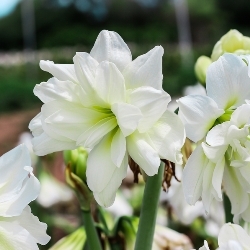 These bulbs are slightly smaller than what we sell at Christmas, but they can make a gorgeous display in your garden, with their large, showy, flowers borne on leafless stems from spring to autumn. Do not plant until after the danger of frost has passed...they can be started indoors in pots when necessary in early spring and then transplanted outside later. Water freely while they are in growth and keep moist after flowering. Good cut flowers! Dig and store for winter in zones 3-7 or plant them in containers. 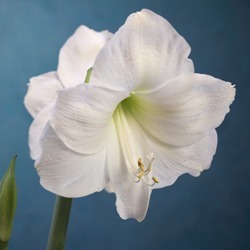 See bottom of page for some gorgeous and unusual Amaryllis-like bulbs. Amaryllis for the Garden. Will over-winter in the garden in zones 7 and above. 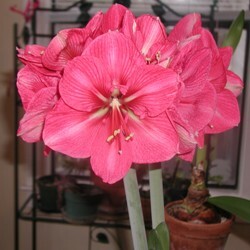 Amaryllis for the Garden. Will over-winter in the garden in zones 7 and above. Collection includes 2 each of Double White, Red and Pink. 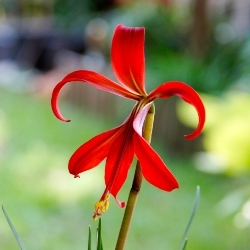 Amarcrinum Crinodonna is a genetic cross between Amaryllis Belladonna and Crinum Moorei. 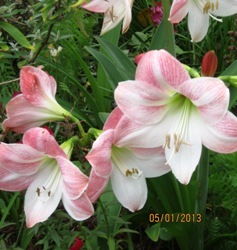 They have 10-16 funnel-shaped light pink blooms which are wonderfully fragrant. Blooms late summer until frost. Will over-winter in zone 7 and above, but great for containers if your winters are colder than zone 7. Said to be deer-resistant. 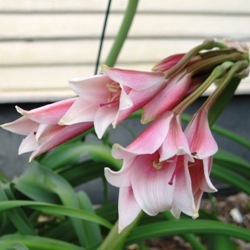 These make multiple offsets – bulbs get huge like any other crinum; however, unlike many other crinums this one remains evergreen. 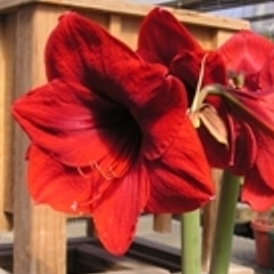 Hippeastrelia is a rare bigeneric cross between Hippeastrum (Amaryllis) and Sprekelia (Aztec Lily). 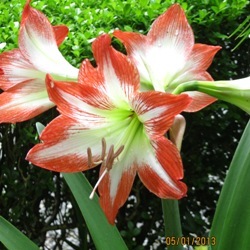 It’s a nice mix of characteristics from both parents with brilliant red 5-8” flowers. The bulbs multiply rapidly to form a nice clump. 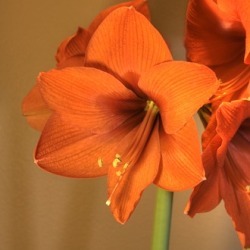 They also make good cut flowers and excellent potted plants in colder zones. Planting Depth: Plant with neck of bulb just above soil level. Sprekelia Formosissima (“Aztec Lily” or “Jacobean Lily”) have unusual 5” orchid-like flowers that sit on their stems like perching crimson birds. Each stalk produces a single gorgeous bloom with velvety crimson petals, bright contrasting golden stamens and a green throat. Its flowers are funnel-shaped and have six sepals, of which the upper three are slender and outward-facing. They need to be dry when dormant (stop watering when the leaves begin to die back); however, provide some water during periods of new growth. Originally from Mexico and Guatemala, so they are sensitive to cold weather, but easy to grow in small pots. Lift in fall and replant in spring.